Atso, mdt320, carlwooduk, JohnBS, EtchedPixels and 2 Guests are viewing this topic. The D49 is just a smidge over length to fit the Schools chassis although we're talking around 1mm here - the two locos should be almost exactly the same length so I assume that Dapol stretched the Schools slightly to make room for the rear driving wheel as it is really quite tight around that area. 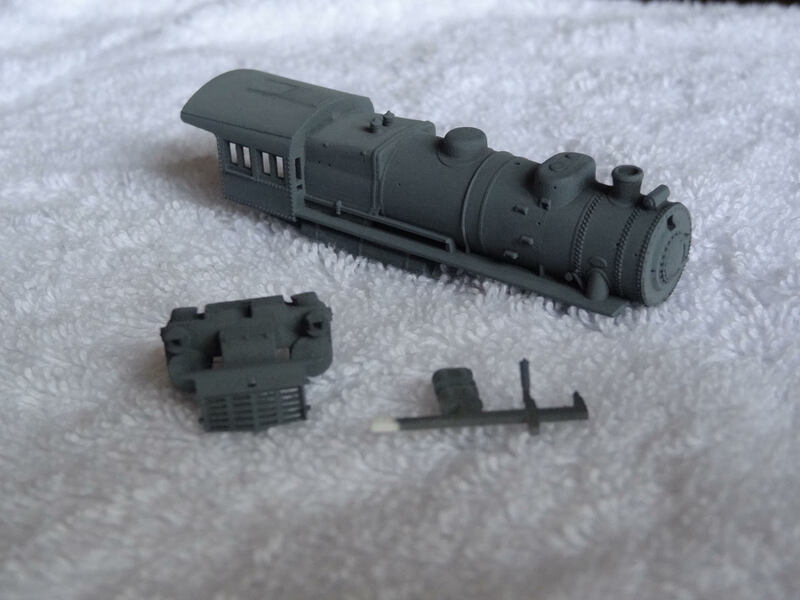 I've still have to glaze both locos, as Tony was quick to point out to me, and I'm looking to give crystal Clear at try in the future at his suggestion. It was also good to meet PDL and have a chat - always great to meet other forum members and put faces (and names!) to profiles! Close but also good to meet you Steve; and to see the loco named for 'Gods Own County' and the K3 performing on NoEL. Thanks for your kind words. Personally, I'm relieved that Tony's camera and ten million zillion watt flash bulb have been quite kind to the locos. People that are employed to get in the way in museums and galleries!??? Where do I sign up? Finally a job that a might both enjoy and be good at!! Personally, I'm relieved that Tony's camera and ten million zillion watt flash bulb have been quite kind to the locos. Sorry for the not so great lighting conditions - it is chucking it down over here! That looks spot on and would be just the job for a long fitted freight! It was apparently said that in N there would be no Market for a RTR K3. Given the quality of this model I'd beg to differ! Mr Price, these are proper locomotives!!!! However, I do have a set of transfers for one of the lesser railway companies. Their initials started out well with the correct first letter but then it went down hill rapidly as they got the others wrong as well as the font! To cap it all off they cut the last letter off completely resulting in a cost saving by only having three letters - what cheapskates!!! Oh well, I've got the transfers now so I guess eventually I should use them on some locomotives not worthy enough to carry the initials 'LNER'!!! 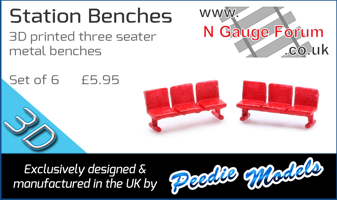 By way of proof to Mr Price that I don't just model the LNER (or British prototypes for that matter!) I thought I would share this now that I allowed to. 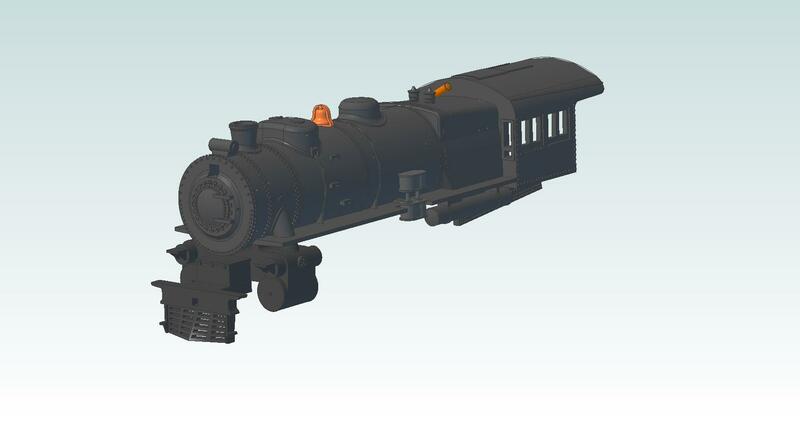 This is the CAD work for an American Pennsylvanian Railroad E6 Atlantic loco body. This is my contribution to a project being undertaken by N-Stars (who made my J50 chassis a few years back and can be found on Facebook) to produce some of these very interesting locomotives. The model, while shown assembled here, is actually several parts. Although I have taken pictures of the physical model, they are on my iPad which is currently ten miles from my present location - I'll upload some pictures when I have access to it! I think this represents one of the most complicated models I've designed to date, most certainly it is the largest CAD file! If anyone is interested in this model, N-Stars now have complete ownership and any enquiries will have to be directed to them. 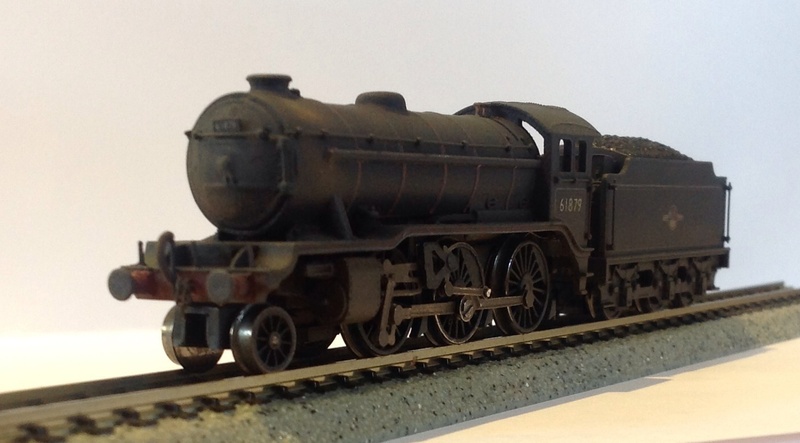 Here is a pic of my K3 61879 in the company of my rather lovely sound fitted and weathered Farish B1 61045. They look an absolute treat posed together and such is the quality of Steve's 3D print and his skill in finishing the K3 that it is impossible not to conclude that both are factory made.